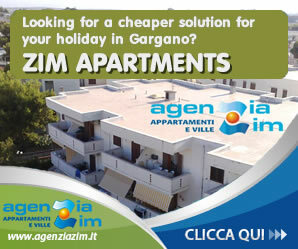 The Arianna Club Hotel & Apartments in Gargano is located in the tourist resort of Lido del Sole, Rodi Garganico‘s seaside village. With direct access to the sea, it is designed to meet all your needs: you can choose between the comfort of the Hotel formula and freedom of Apartment formula. All rooms are equipped with wi-fi, TV connection with Sky channels, air conditioning, safe, hair dryer wall, as well as a large veranda with table and chairs to be able to relax enjoying the sea breeze characteristic of the Gargano. 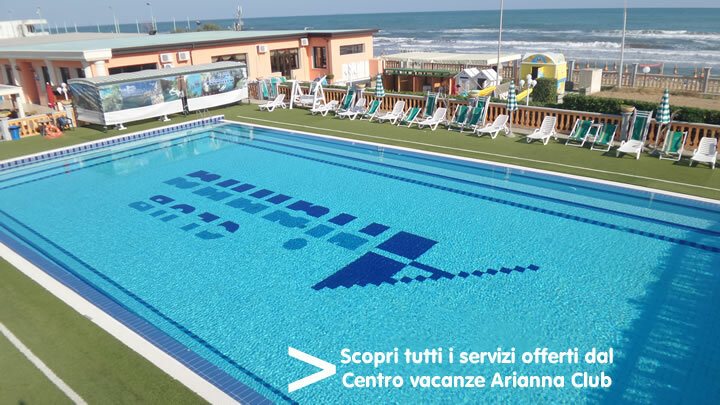 Whatever the choice you will have at your disposal all the services and equipment present in the Hotel & Apartments as well as sports and leisure facilities of the Arianna Club ASD Sports Center: 2 sandy beaches equipped with umbrellas and sunbeds, 2 pools with jacuzzi, soccer field, tennis court, basketball court, beach volleyball, beach soccer and introductory courses of shooting archery, tennis, canoeing and swimming, just to mention some. Our Hotel & Apartments is also attentive to the needs of your children, because in the end … “their happiness is also your own! !”: 1 pool with water slide and 1 mini-pool for enfant, indoor and outdoor play areas, inflatable games, elastic springboards, daytime and evening miniclub and our dedicated service Happy Family. Take a look at all the services and equipment offered by our Hotel & Apartments!!! Plenty of relaxation for mind, many sports for the body … but also the palate wants its share!! It is known that happiness also switches from the table … and our restaurant and pizzeria “La Fontana dei Desideri” may just be right for you and will be ready to delight you with dishes of Mediterranean cuisine and specialties from Apulia. An genuine cuisine that will satisfy all your needs! But which holiday would be without a healthy enjoyment? Our entertainment staff will take care of the fun, ready to involve you with group dances, beach games, tournaments, evening theatrical performances in the beautiful indoor theater “Teatro Scacciapensieri”, theme nights and discotheque. Daytime and evening entertainments for all who will cheer your days and will make them unique! A Hotel & Apartments for everyone, families with children and groups of friends and couples who want all the comforts of the best Holiday Villages. The holiday that makes everyone Happy! !